Game balance persistently sparks some of the most heated debate in the EVE community. From reddit discussions to articles, memes, and everything in between, players exhibit extreme passion for balance issues that they see affecting the health of the game. While new features and events serve as the centerpieces for expansions, game balance updates frequently comprise the most anticipated part of patch notes and devblogs since they affect day-to-day gameplay. Getting the details of balance right is a tremendous task, involving multiple development teams as well as the CSM. However, I am writing today to address a larger problem that has overshadowed the subject for many years: balance update frequency. For many years, EVE only saw expansions roughly twice a year, and balance updates in the earliest years of the game generally only addressed large topics, such as the great nano-nerf, or reworking Nosferatus. As EVE matured, reworking ship classes and tierciding modules became a necessity as new ships were introduced and older ones were revamped to keep pace. Nerfs to modules like tracking enhancers and buffs to things like siege/triage timers resulted in massive shakeups in the meta and tactics. Recently, however, balance changes have felt extremely irregular and have manifested frustratingly slowly. A prime example of this in recent times was the Ishtar, which took several painfully incremental changes to bring back down to acceptable levels over several months to a year. Although I fully understand the fine line CCP has to walk in these situations, striving to find the acceptable middle ground between underbalancing (letting unhealthy things fester) and overbalancing (being reactionary and interfering with with the player-driven meta), sometimes this restraint feels more like neglect than enlightened self-control. 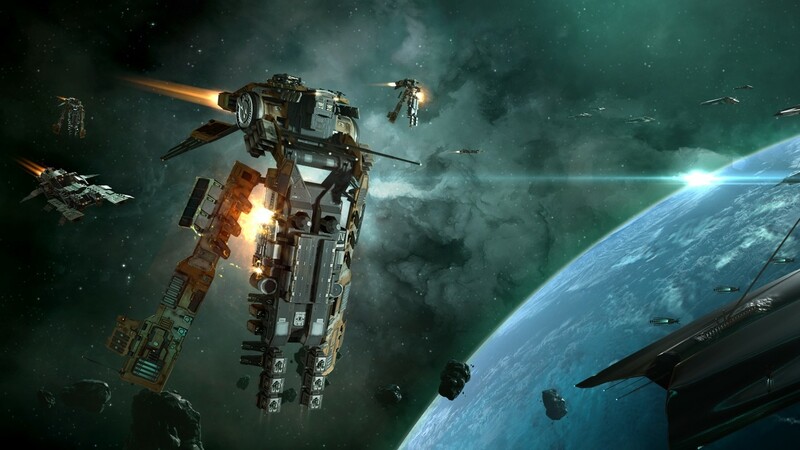 EVE players are a generally patient bunch, and tolerate balance problems for far longer than many other gaming communities, but even this patience has limits. A major part of the problem is that there has never been a structured format or release cycle specific to balance updates. This pragmatic approach allows flexibility for developers with packed schedules and dedication to other priority features, but leaves players in the dark as to when they can expect their grievances to be addressed. Balance has been relegated to the gaps in development time, being addressed when there is time left over rather than taking higher priority. Given how strongly the playerbase feels about balance issues, there should be a concerted effort to have them addressed quickly and adequately. This also limits the ability of the CSM to inform balance decisions, since the lag time between balance proposals and the next available balance patch can often be several months. In turn, this limitation feeds some players’ perception that the CSM is not delivering immediately in response to player feedback. The solution to this frustrating chain might be simpler than we think, allowing CCP the flexibility to address what they can, while providing players a more tangible schedule for balance updates. Going forward, CCP should commit to a quarterly or seasonal balance update schedule, independent of content and feature updates that they already have planned. This does not mean that every ship and module will be rebalanced every quarter, nor that an issue that arises between updates will necessarily be addressed in the next one. What this means is that players and developers will have a framework in which to place issues on a timeline, and then use the months leading up to that to monitor the issue, gather both CSM and player feedback, and then be committed to addressing it. This would allow players to see what is on CCP’s radar in terms of issues, and know that there will be some kind of balance change to address the problem. Furthermore, quarterly updates would also provide a regular enough schedule to minimize the problem of micromanaging and overbalancing, while also giving a regular enough change schedule to avoid the opposite. An added benefit is that this would also allow the freedom for more liberal and experimental adjustments, since going too far could be toned back in a few short months, and not going far enough could be addressed equally quickly. This approach would, for example, help CCP avoid situations like the current issue with T3Ds. which have been introduced, balanced once shortly after release, and then left untouched for close to a year. Lastly, regular dedicated balance updates also mean that we would avoid these infinite discussion cycles on issues that never seem to see fruition, and the community dialogue could see some thematic focus rather than being as random as it is now. I plan to bring this proposal up during CSM XI’s first summit in roughly a month, and hope that both CCP and the community see the value in my idea. EVE is an aging game, and I think that being overly conservative and cautious in the field of balance will only cause players to take breaks or leave if they feel that their concerns have not been addressed fast enough. Reinvigorating the meta on a regular basis could also see veteran players with specific grievances return, and underused ships receive fresh attention where they would previously be left gathering dust for years. I am interested in hearing your thoughts and feedback on this proposal, so please leave a comment or feel free to shoot me a message on Twitter/Reddit/Slack.